These pcs were removed from a '75 Elkie...but, are correct for '73-'75. Some pcs also fit other '73-'77 "A' bodies. They are Black in color. For the uninformed, the upper windshield headliner trim will fit all GM '73-'77 "A" body 2-dr coupes. The "A" pillar trims w/short extensions will fit '73 all GM "A" body 2-dr coupes, also. Of course, the "A" pillar trims by themselves will fit any GM '73-'77 "A" body 2-dr coupe and I would be willing to separate them from the short extensions if someone is interested. - The RH rear upper pillar trim had a dry "cuff" at the bottom (you could scratch it with your fingernail). I took the liberty to lightly sand it down and applied a coat of SEM 15243 (Black Satin) to see how it would appear. I think it now looks very presentable. 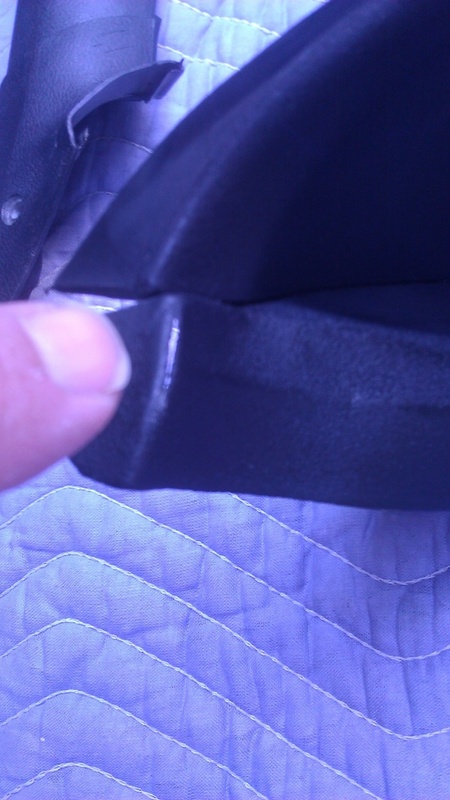 There is a split at the outer corner (see 2nd photo to the right of my fingertip) that I didn't repair beforehand. That can be filled from behind if desired. - "A" Pillar trim w/short extension @ $25/ea. 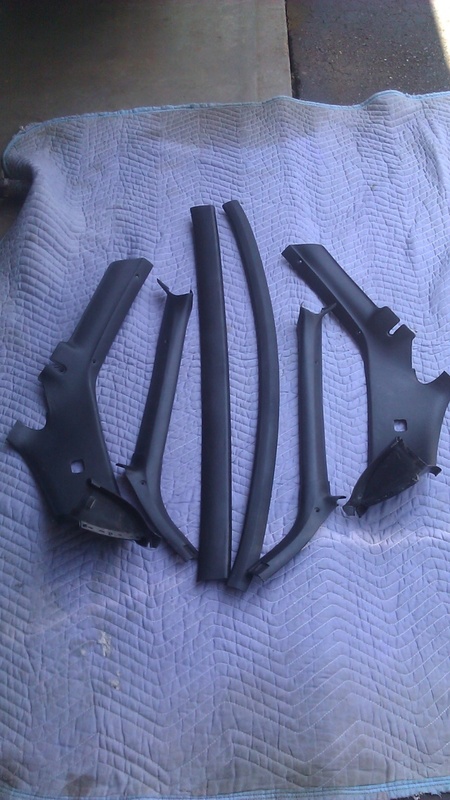 - Rear upper pillar trim @ $40/ea. Shipping is NOT included in above prices. That will be calculated once it is known which pcs will be shipping to any particular address. Going to e-Bay if nobody is interested. Send a PM to crice63. He was looking for a set a while back.